That Emraan Hashmi is debuting as a producer with a film on India-Pakistan confrontation is known. Now, the actor has revealed more details that have caught everyone’s attention. 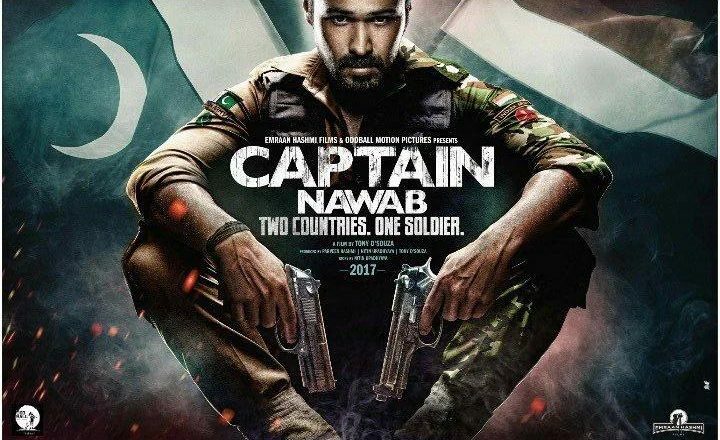 The film is titled Captain Nawab and features Emraan in the leading role. It is directed by Anthony Dsouza, who helmed Emraan’s last film Azhar. The first look of the film is out and has been a talking point ever since. Emraan has donned the army uniform but what’s intriguing is that half the uniform is that of the Indian army and the other half of Pakistan! Emraan however refuses to go into details, saying that this is ‘the DNA of the film’. Emraan is going to train for this role after he finishes work on Baadshaho, Milan Luthria’s next. Right now, he’s busy with Raaz Reboot promotions but he has free time from mid-September which he plans to use to do his homework for Captain Nawab. Before singing off, Emraan even reveals that the film is inspired by true events.